After the last two stories on Land Commissioner John Thurston’s purchase of a War Eagle boat and lots of questionable boating gear for his office, Mr. Thurston finally broke his silence and gave statements to the Arkansas Times and KATV, defending the purchase of the boat. 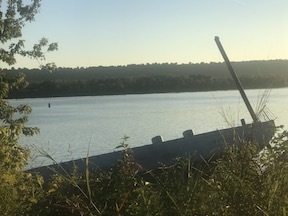 Under the laws of the State of Arkansas, the Commissioner of State Lands is charged with certain authority over the navigable waterways, submerged lands, as well as the construction, alteration or placement of structures or objects below the high water mark of a navigable waterway. Further, Act 552 of 2013 charged my office with the authority to institute legal actions to remove a structure or debris impeding navigable waterways as well as to enjoin the construction or placement of a structure upon submerged lands. 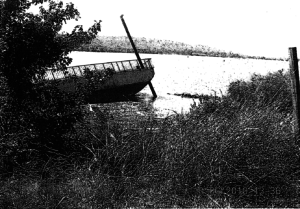 I felt it was necessary to purchase the boat in order to be proactive in our duties of overseeing the waterways and addressing potential issues that may arise, as well as to perform our due diligence in cases involving the removal of debris or unpermitted construction of structures on submerged land so that any legal proceeding would be initiated with factually accurate and sufficient legal proceedings. Early on in my term, we had to call Game and Fish and they had to literally meet us — in this one particular incident, it was at the Ouachita River, south Arkansas. And so we were tying up another agency and pulling their man hours that was my responsibility. I didn’t want to burden another agency or an office with the responsibility for me doing my job. Even then, under the most charitable scenario, Thurston’s buying the boat still makes zero sense. Second, assume that Thurston or people from his office get a report of debris — it apparently happens about once every nine months, so we might be getting due for a new one! 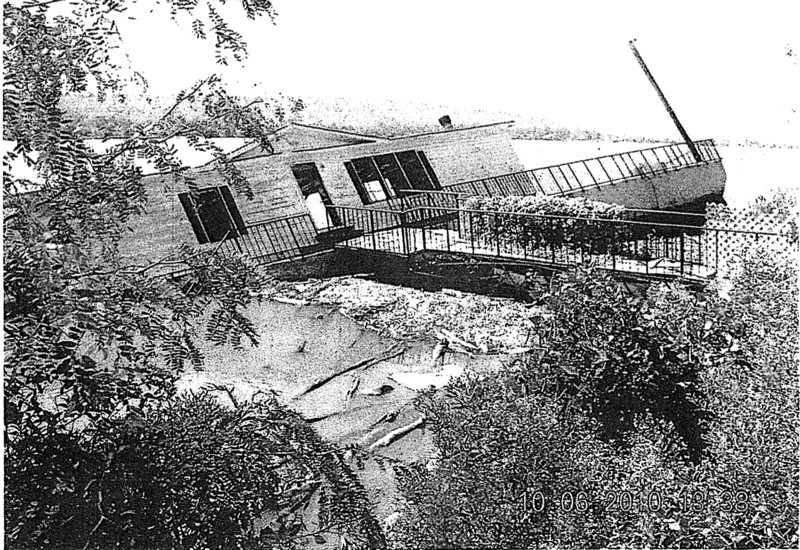 — and decide to head to Maumelle, hook up the Andrea Fail, and head out to inspect the debris. What then? What do they do once they’ve examined the debris? After all, by their own admission, no one in their office has any training in evaluating underwater debris or the logistics of underwater debris removal. Moreover, the COSL boat lacks any kind of power winch or other equipment necessary to actually remove debris from water of any real depth. Heck, the boat is only 18 feet long, so even if they could haul some debris out of the water, it’s not like they are going to be able to plop it on the boat and drive it away from the location (at least not if it is debris of any size that might actually warrant a complaint from someone). Plus, you know that $2,500 depth finder that they bought at Bass Pro? That little piece of equipment is better described as a “fish finder with side scanning and down scanning sonar, GPS and waypoints, and Sonar Recording.” It has something called contourXD charting, which creates detailed contour maps of everything going on below the surface of the water. And, helpfully, it has an SD card slot that would allow it to record its contour maps as well as the readings of depth and location of debris while the COSL staff was examining something in a waterway. Meaning that, despite saying that he wanted to make sure all information was “factually accurate and sufficient” and that “any and all equipment purchased was to aid in and better identify structures, objects, and debris as well as potential causes of debris, and for safety purposes,” Thurston failed to utilize the one ability he had to actually record and provide any of that information once they were off the water. Maybe it’s just me, but, if you were actually trying to provide “factually accurate” information to the Attorney General, Arkansas Game & Fish, or Army Corps of Engineers, you might take advantage of the singular feature on your boat that could tell them things like exact location, size, depth of water, etc. Back to the question at hand: assuming they actually used the boat to examine reported debris, what did they do after that? It seems like the answer is that they go back to the COSL office and then reach out to Game & Fish (or some other agency) to do something about the debris. Which is to say, they came back to the office and went through the exact same steps they would have gone through if they’d never even gone out on the water in the first place. So why did they need to have a boat at all? As a third point about why the boat was unnecessary and pointless, consider how little it has apparently been used for the exact purpose that Thurston is claiming it was purchased for. 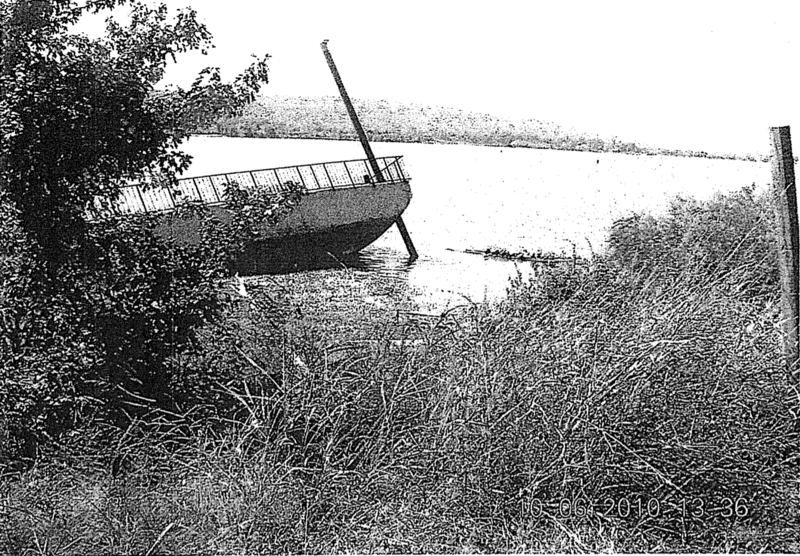 The gas records that we obtained showed that the boat had been out about eight times. 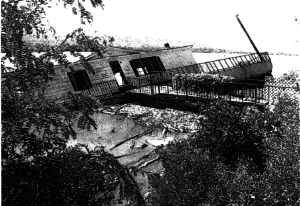 Thurston himself told the Arkansas Times that the boat had been used six times. That’s six or eight times since December 2014, or fewer than twice per year on average. There are over 1,000 miles of navigable waterways in the five largest rivers in Arkansas alone. There are over 2,300 named lakes in Arkansas. Yet, despite all of that water, over which Thurston has repeatedly noted that he is responsible, there have been only six or eight times in the last four years in which there was debris that needed the COSL’s attention? More importantly, if the need for COSL review of a complaint is that amazingly rare, in what world does it make sense to spend over $30,000 on a boat (including $1,800 per year for storage alone) on the off chance that you might need to use it once or twice per year, tops? At this point, using Thurston’s own numbers, the boat has cost taxpayers over $5,000 per use. There’s no chance that having Game & Fish or someone else do whatever it is the COSL is doing on those trips would cost over $5,000 per outing. Again, based on Thurston’s own explanations, the boat was completely unnecessary. But that’s all theoretical, above-the-shoulders stuff when it comes to debris removal and boat usage. What we need is a concrete example that the purchase of the boat has not significantly aided in debris removal. Luckily, we don’t even have to leave the Little Rock metro area for proof that the boat adds nothing to Thurston’s ability to do his job. We can just head over and look at the sunken barge in Maumelle. That was over five years ago, and nearly four years since the COSL got their boat, which they could have used to go examine the debris and initiate proceedings for the removal. Act 552 allows the COSL to enter agreements with other agencies to facilitate removal of debris in navigable waterways. 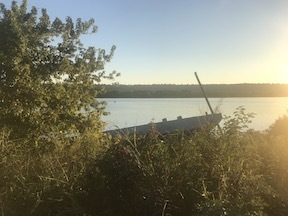 There is ample space near the barge in the water in which large watercraft could maneuver as part of the removal process. There is plenty of room on the surface near the barge on which a crane could be stabilized to assist with removal. And now the COSL has a boat with a sonar/contour mapping capabilities that could get a better sense of just what is going on under the water at the barge site. Yet, in over five years since the passage and effective date of Act 552, John Thurston’s office has not managed to have the barge removed, despite a request from a public official, notice from the Corps of Engineers, and a stated concern that the barge could damage I-430 or the Murray Lock and Dam. It does not appear that the COSL has managed to do anything about that barge, in fact, as it remains in exactly the same position as it was in October 2010. Susan Inman’s ridiculous boat stunt yesterday is an great example of the petty lunacy that keeps reasonable Arkansans from voting for most Democrats. It’s Trumpian at best. Thurston is responsible for the state owned land in AR rivers. Of course his office needs a boat. There are a couple things to unpack in that statement, both of which ignore reality. One, while it is true that “Thurston is responsible for the state owned land in AR rivers,” it is equally true that every Land Commissioner before Thurston was also responsible for such land, as the law since at least 1937 has stated, “The landed interests of this state shall be controlled by the Commissioner of State Lands, and he or she shall dispose of them as provided by law.” Act 552 did not suddenly give Thurston responsibility for lands that he did not previously have administrative control over; it merely clarified the process and duties for the COSL, and it allowed him to engage other agencies to help with that process. 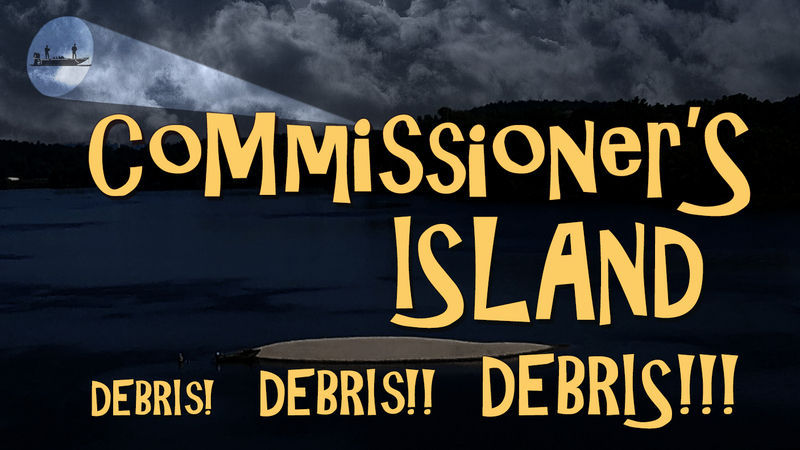 In fact, when the commissioner’s staff appeared before the committee to lobby for their bill (which became Act 552), the words “debris” and “boat” were never uttered by anyone in the committee room. Which leads us to, number two, “Of course his office needs a boat.” This statement is odd, as it completely glosses over the fact that no other Commissioner of State Lands, going back over 80 years, has ever needed a boat, at least not to the point that the office bought one.3 So why would Thurston “need” one? More accurately, why is it so obvious that “of course his office needs a boat” when, by Thurston’s own account, it has been used a whopping six times in nearly four years?